or ... just get the 36" Grizzly. 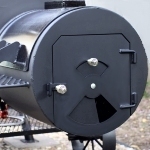 Horizon adds the front wheel option to their smokers for a couple extra bucks, so I'll call that their version of the "competition cart." LOL. Yeah, when I saw those counter weights I thought that thing looked like something right out of the Flintstones. And make sure you don’t wimp out and get that 2 door grizzly either. Thats a toy for kids. You get the 3 door or nothing. Does the 24" RD Special Marshal have a cover? I went to checkout and there isn't any options. 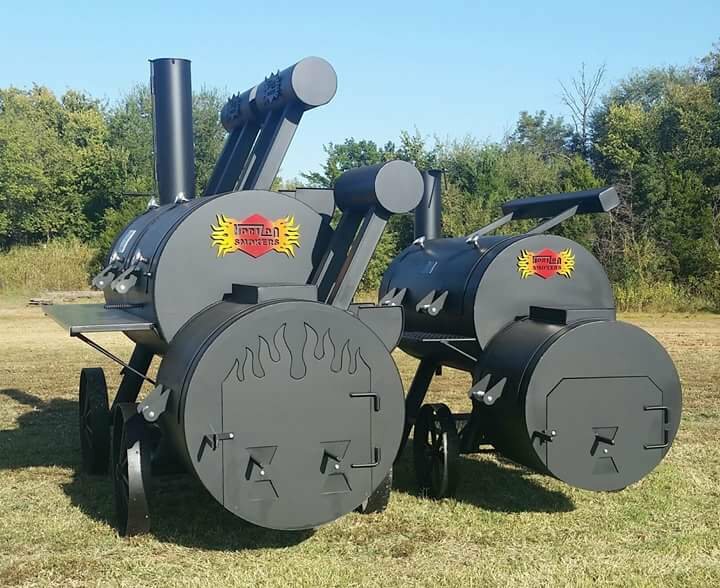 I'd hate to wheel this from the garage to the back yard for every cook. I'll give them a call if no one knows. I cant imagine why someone would put a cover on an offset pit. Just an needless inconvenience. I have had my pit outside in all sorts of rain and hail for probably 2 years and i can honestly say the weather has had zero effect. The firebox lid lost its paint early on because it wasnt painted properly originally to withstand the firebox heat, and I just spray that area from time to time with pam and it stays black like the painted areas. Unless the cover is "breathable" you'll end up trapping moisture making things worse than no cover at all. And if you have "breathable" material it won't keep the water out. 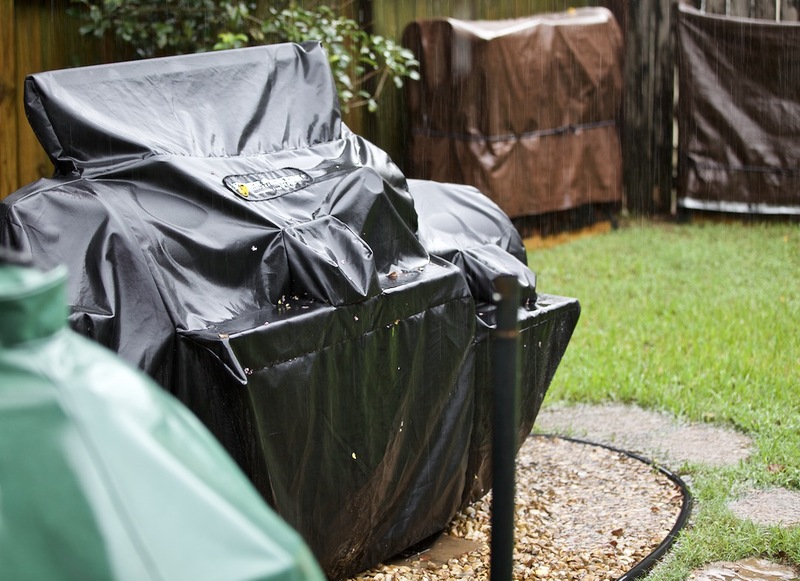 However, during pollen season a cover is handy to keep things from turning green. I had a cover for one offset pit that was a custom fit and looked great but it was a bit of a pain to deal with. Our offset is located at the edge of a stand of trees at our weekend place, and a cover has been a good investment. Otherwise, much time was spent just cleaning the cooker before any cooking could take place. Also, it does seem to keep the rain out/off. BurningStick wrote: Does the 24" RD Special Marshal have a cover? I went to checkout and there isn't any options. 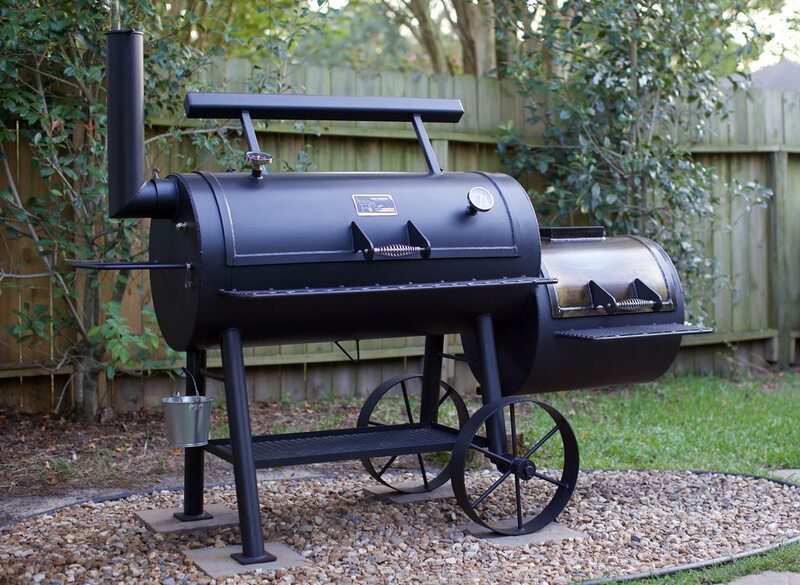 I'd hate to wheel this from the garage to the back yard for every cook. I'll give them a call if no one knows. When I replaced out several-years-old cover recently, I noticed there were no covers listed on the horizon website, so I called. They were expecting a new, much heavier-duty cover and just didn't have it on the site yet. They took my money, shipped the new cover a couple of weeks later, and it is indeed much more substantial than the last one, which had gone for eight or nine years. I suggest you call them and I'll bet they can get you fixed up. 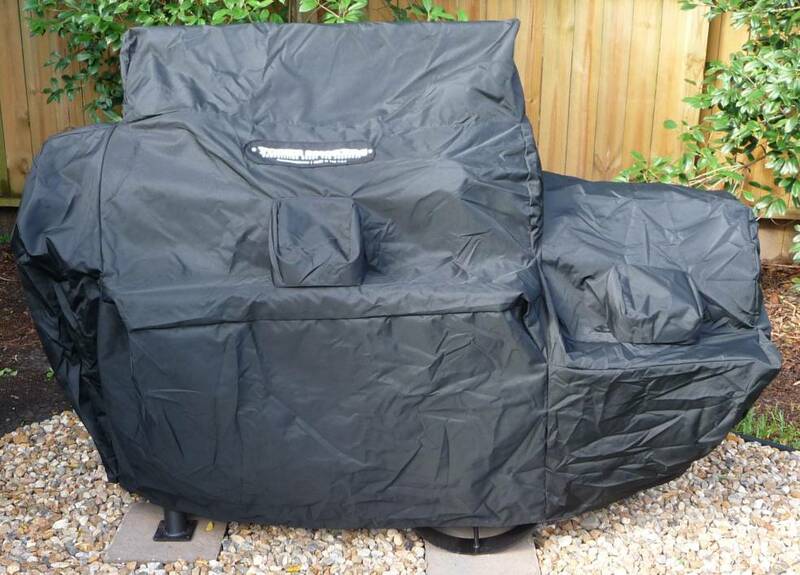 I think a cover is a good investment for a backyard cooker that is fully exposed to the elements. It would be impractical for very large units, but most of those are on trailers anyway, and are parked in a carport or garage. It's not like you can't hose these things down, but I do like being able to pull my cover off and having a clean cooker ready to go. My issue involves things like leaves, pollen, bird poop, spider webs, and critters walking on top of the smoker. I think my gauges benefit too, since the cover doesn't allow the sun to bake on water spots or fade the dials. Well I spoke with the "MAN" at Horizon and the they are working on a cover for the 24" RD Special Marshal. Should have it by the end of the year. Anyway, I'm in negotiations with the wife, l think I'll have to sell some of my toys. But this is my next and last offset I'll be purchasing. They are having trouble getting 1/4 steel and are building with 5/16 currently so I'd love to get one of those. And no, the cover is not a deal breaker...just asking. I didn't intend to make that last post seem anti Yoder. I'm going to continue helping them solve the issues with the Wichita or at least give them my input with video and photos. I received a package yesterday before going to work at 1:00PM as they had told me I would have in one business day. I'd like to help Yoder find a solution and to help every unhappy owner. I'm using seasoned hickory not kiln dryed wood today but I have a problem, the wood has mold. So I'm going to another supplier for a couple arm loads. Taking the other crap back. No meats will be harmed, smoldered or incinerated in this test. see what I did there....Herb? P.S. I don't know Herb, just trying to get a laugh. When do you think us mere mortals will hear some results from whatever testing Yoder is getting you to do?